We look forward to having you and your future gymnast at our gym. Click on the link above to view all our class descriptions. You have a member fee that you pay once a year of $45. Your monthly fee is due at the start of each month. THE SCHOOL YEAR Schedule will run August until May . Classes are taught according to a solid progressional curriculum supported by star skill progression cards. The focus is on instruction, acquisition, and mastery of gymnastics skills on all the Olympic events. The classes are 55 minutes a week, $70 a month. Equipment available for all gymnastics classes include: in-ground foam training pit, in-ground trampoline, beams, bars, vaulting, and a full size spring floor. 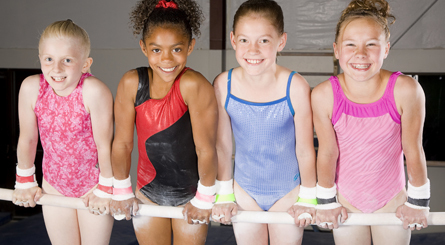 Boys & Girls Gymnastics: In our gymnastics classes individuals are taught at their own skill level. Classes are 55 minutes long once a week unless you sign-up for additional classes. 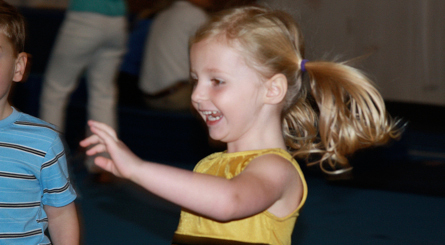 Children will learn gymnastics terminology and the basic skills for each event. The children will be working towards more difficult skills and combining skills. Girls Advanced Gymnastics: 55 minute class for those who have experience and the focus to work harder on skills. This class works on strength and flexibility to develop harder skills. Girls High Level Gymnastics: 55 minute class. Gymnasts are working on perfecting their skills and combination of skills. This class is offered to gymnasts who have years of gymnastics experience These classes are $70 a month. 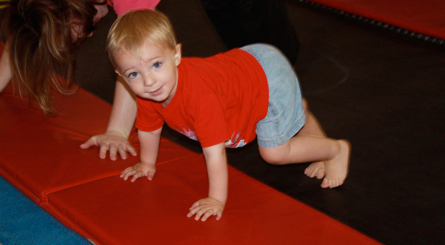 Tumbling Classes: Ages 5-18 (8:1 student/teacher ratio) 55 minute class. In our tumbling classes individuals are taught at their own skill level. Tumbling classes focus on tumbling skills, terminology, working from the basic fundamentals to build up to the bigger skills in tumbling. Always working towards more difficult skills and combining skills. Advanced Tumbling: Ages 6-18 (10:1 ratio) 55 minute class. Is an hour long class for those students whom already have achieved a backhandspring and are working towards connecting skills and back and front tucks. Backhandspring Clinic/Class ages 6-18 (8:1 ratio) 55 minute class This class offers work on just one skill the backhandspring. Working drills and progressions to get a backhandspring by themselves. This class can be a monthly class where you have a spot all month or you can take it as a clinic where you pay per class as long as there are openings. Acro Tumbling: ages 6-18 (8:1 student ratio) 55 minute class. This is a new program this year. This class will focus on the fundamental acrobatic and tumbling moves. This class only works on the floor, trampoline, and pit. Sample moves include; cartwheels, cartwheel step-ins, back/frontbends, back/frontwalkovers, side/front aerials, head/handstands, backhandsprings/stepouts, and much more. This class will focus on building core strength and flexibility while aacquiring valuable skills that can easily be transferred to dance, cheerleading, and gymnastics routines. Cheer Tumbling: ages 6-18 (8:1 ratio) 55 minuteclass that focuses on cheer tumbling, cheer jumps, and motions. They will work on the floor, trampoline, and pit. They will also work on improving strength and flexibility in this class. High Level Tumbling ages 6-18 (10:1 ratio) 55 minute tumbling class focusing on perfecting their advanced tumbling skills. (back tucks, and combination skills) This class is offered to tumblers that have had years of tumbling experience and have a backhandspring by themselves. To try a class please call the front desk at 770-422-9900 or e-mail: [email protected] if you have further questions. If you are interested in a class please call the front desk at: 770-422-9900 or email: [email protected] with any further questions.